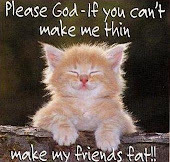 That's what my husband sometimes thinks of me. Gone to the birds. I informed him the other night that I was going down to the workshop to make birdhouses. Did I mention that I am also handy in the woodworking dept. So down I went and drew up a pattern, cut the sides and front and back. OOps I forgot to make the sides higher to accomodate the roof. So I cut some more. Wil yelled down to make sure everything was ok. He worrys when I use power tools. BANG,BANG , SAW, SAW. HAMMER SOME MORE. Wil came down when I was ready to drill holes in the front as well in the roof. I used recycled wood for the roof and angled it to represent a Quebec home. 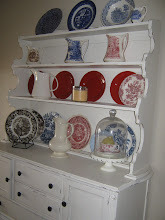 Once it was glued and nailed I proceeded to paint. 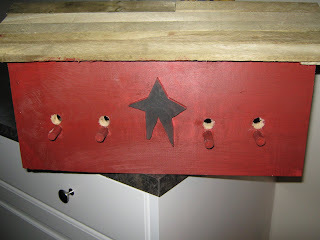 After the paint was dry I started with birdhouse 2. That one I made no mistake with the sides. Once it was complete I painted it red. I left the roof original since it had a green patina. I made the holes too small so off to the basement to enlarge. With birdhouse #1 I sanded it then applied a dark stain and immediately wiped it off. It looked too red for me so out came the brown shoe polish. A few coats later did the trick. On to my BOM # 4 of Bunny Hill Designs, it seems that it took forever. but now it is complete. Now its time to start on my next project. 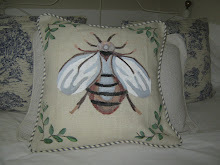 I had in my mind what kind of pin cushion I would make for the exchange, so off I went to my sewing room. Here is what I ended up with. 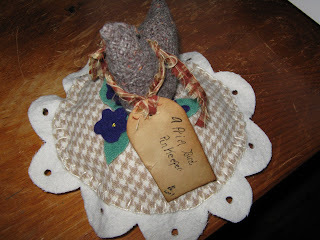 A Prim Bird PinKeeper. I just love working with wool. Wow, you are so energetic! 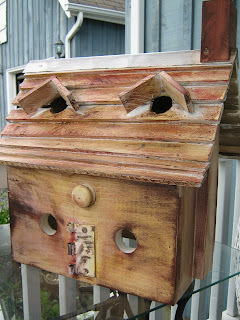 Love the birdhouses, and your porch is gorgeous. My lilacs are long gone - or so I thought, but a little while ago I was out spraying weeds and I found a couple of stems with late blooms on them. 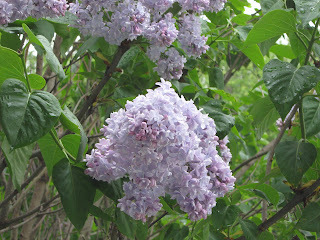 Lilacs are my all time A#1 favorite flower of all time. I say that heaven will smell like lilacs! Now my bloomers are roses and day lilies, heavenly blue morning glories, zinnias, and the foxgloves are beginning to bloom. 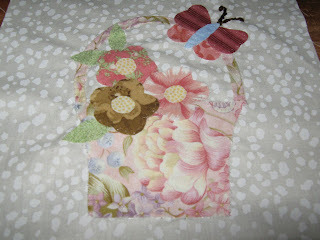 Check out my blog tomorrow (Friday) morning to see some of my bloomers! Blessings, Becky G.
What lovely flowers on your porch. Very good work with those bird houses...good job! The pictures of your porch with the flowers and the quilt is gorgeous. What a neat display you have and the birdhouses are so pretty too. 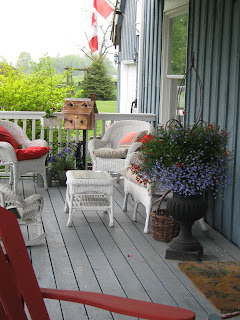 Thank you so much for sharing...I love seeing your porch. 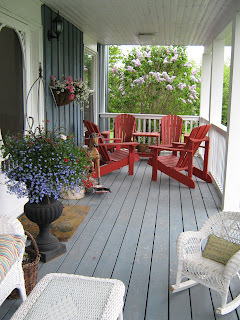 The lilac is so beautiful and your porch looks as though it's straight out of a home decorator magazine. Nice version of the Bunny Hill BOM. I still haven't finished last months. Yikes! I've got some catching up to do. Your bird houses are super - I bet you could sell those easily. Fabulous post, Linda and great pics. Have a great time at your guild meeting. Could you please send me the MLS number of your home? I love your porch and great job on the birdhouses. Look forward to the quilt photos too. Wow, Linda, I love your birdhouses, BOM, pincusion and all the beautiful photos. Have a wonderful weekend! I am so glad you left a comment so I could come visit you. 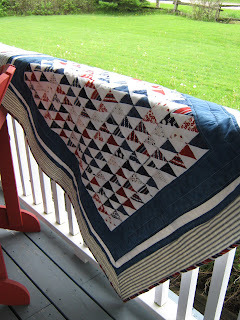 I am originally from Toronto and I am a quilter too. You sure a re abusy girl with all those projects onthe go! I am having a porch party tomorrow where everyone posts photos of their porch, Yours is beautiful! I'd love it if you'd join us. 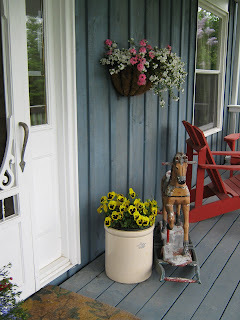 Just post about your porch with photos and then come to my blog and link up with us. It's going to be fun. I expect around 50 people to join in and I'd love to include you. Linda, I visited your lovely porch post for the second time. I received the bar of soap and charm squares in the mail, thank you... thank you so much. Cannot wait to try it out. 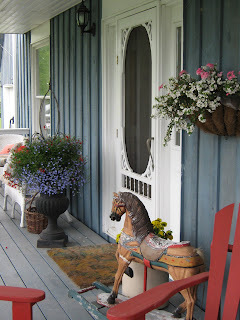 I would love to come and visit on your porch! It is just so darned adorable and inviting!! Your pincushion is WONDERFUL! May I steal the picture to put on my blog.. I won't tell who it's for.. I LOVE IT! And now that lovely pincushion is mine!!!! Thank you, thank you so much swap partner!!!! It has already been put to use!!!! And I am a follower!!!! !